Spring Cleaning at Vida—A Shiny New Library! The term "spring cleaning" is traced back to the Iranian Nowruz, (the Persian new year), which falls on the first day of spring. Iranians still continue the practice of "khooneh tekouni" which translates literally to "shaking the house". Everything in the house is thoroughly cleaned, from the drapes to the furniture. 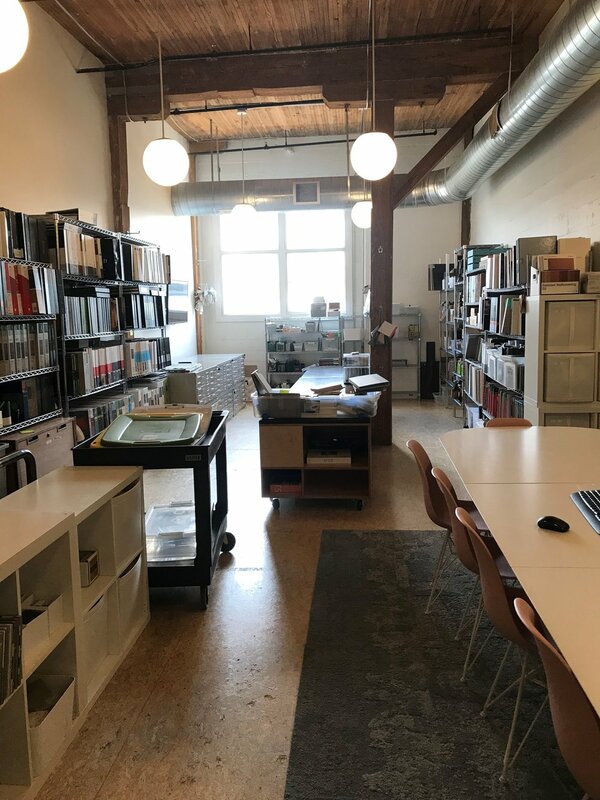 Here at Vida, we practice our own version of spring cleaning, and it involves a HUGE overhaul of a room just down the hall from our office—our library. 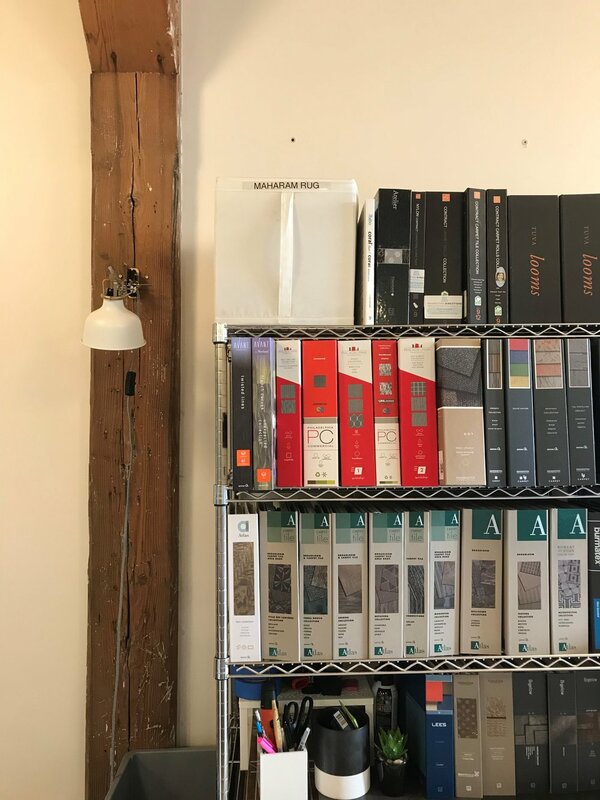 Our library is where all the magic of a project starts—it's actually the room where Vida itself started many years ago. 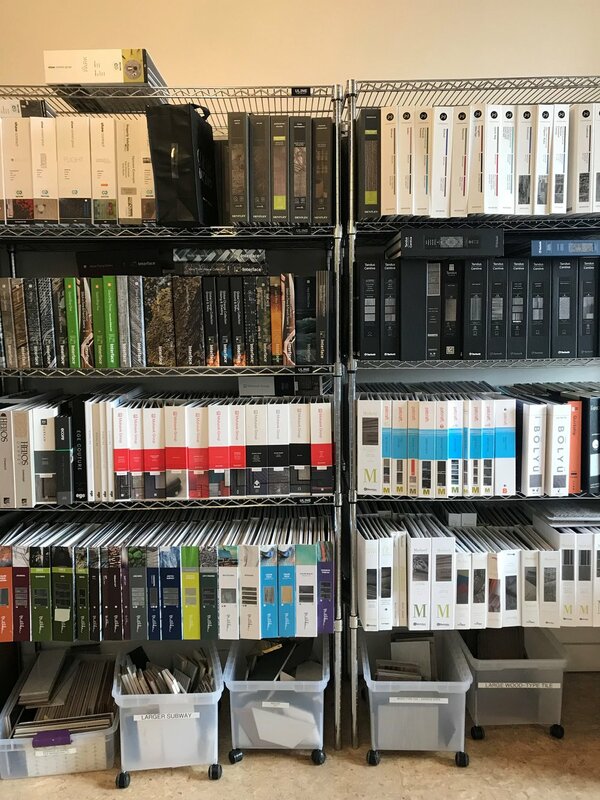 It contains all the materials we use for our clients, so as you can probably imagine, things can get pretty crazy in there. 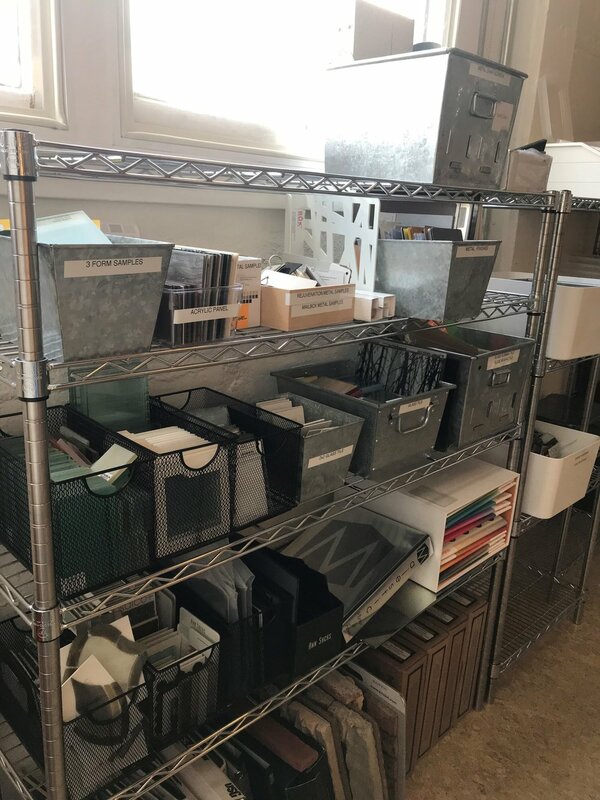 About once a year, we all pitch in to donate, return, recycle, or reorganize the thousands of samples of tile, fabric, wood, glass, metal, and much, much more. Take a look at some before and after photos below, and happy khooneh tekouni!